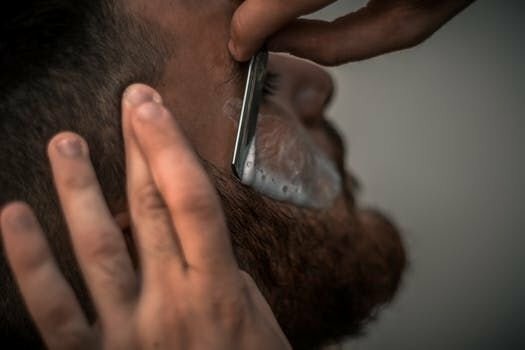 Men of today are more conscious about their looks since they understand what is a barber surgeon offers and want to ensure that they are sharp. With this being said, they do the best that they can in making sure that they look nice all the time and this can be easily seen on the plethora of men’s grooming products. There’s no doubt that numerous men spend a large amount of their hard earned money on the different male cosmetics. However, what appears to really get their attention is the different kinds of hair styling products available. After all, no man would dare to go out with a bad hairdo. This is not a thing anymore and there are many kinds of products that cater all hair styles and types. What seems to be the challenge that most interested men have is that, they are puzzled on which product to try or can’t tell the difference between them. Whether you’re browsing in an online store or looking through shelves of high street stores, you are going to find waxes and pomades. Both have its own section and used widely by men around the world. But what most men are asking is the difference between pomade and wax. Every question that you have in mind will be answered in the next lines so if you’re undecided whether to buy pomade or wax, just keep reading. Pomade – this is a product to which no one would rival most especially when talking about luster and shine. If what you want is a well groomed and slick hairstyle, then you will definitely do better with pomade. Aside from that, it is also the preferred product among men who want to sport a ducktail, pompadour or quiff look. As for men with dry hair, you will eventually observe that pomade works great for you since it makes the hair a bit greasy. Pomade even lets you change the effect by simply changing the amount you’re using and whether you’re applying it to dry or wet hair. But on the latter, it may give lesser hold with shinier look and as for dry hair, it can have better hold but less shine. Wax – while pomade is perfect for slicked back hairstyles, this is the option for those who seek a hair product that can hold their hairstyle. Not only that, those who have naturally oily hair, wax typically provides more suitable solution. If you like detailed expression as well as accentuating your style, then wax is just right for you.